Homicity for real estate agents is a new marketing solution for agents who are looking to drive more leads to their inbox and keep growing their business. Many real estate search engines fail to connect customers with the proper listing agent. Instead, agents pay 25-35% commission for their own leads. We are happy to announce that Homicity for agents is open - and we are commission-free. Our platform guarantees exclusive ownership over leads from your listings, while helping you drive more leads to your inbox. Our platform is designed to help you market your services, generate leads, grow your client base, and give you the tools to track and manage your leads. Unlike other real estate search engines, Homicity guarantees that every lead from your listings won’t be sold to another agent - or back to you. We are a commission-free platform - your listings, your leads. 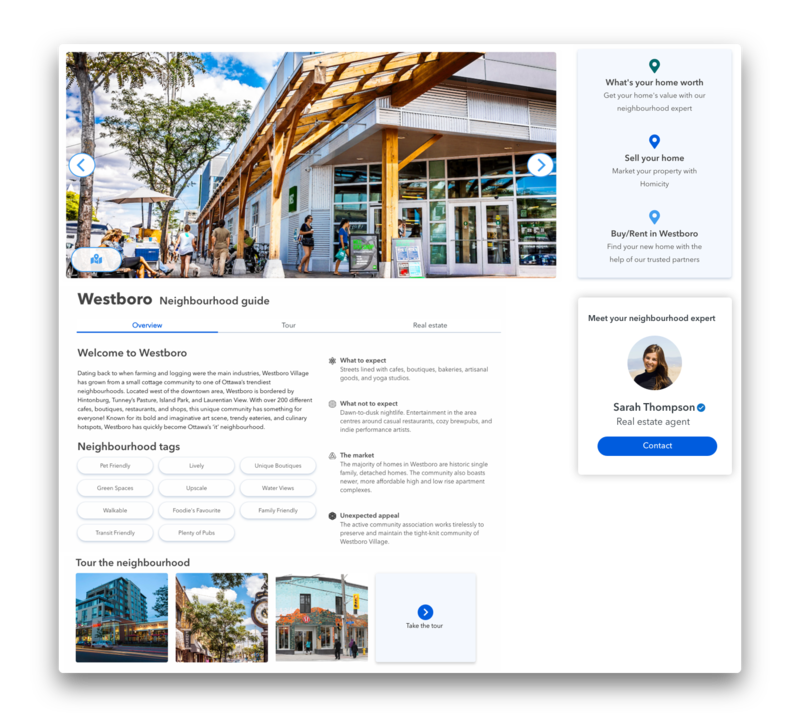 We offer advertising options in specific neighbourhoods and condo buildings for you target leads and gain exclusivity over leads generated through showing requests, open house registrations, property valuations and more. 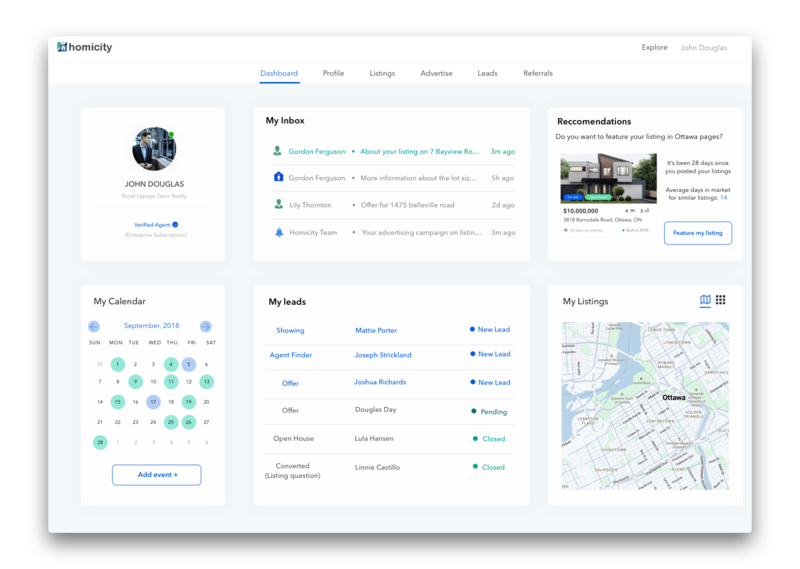 All Homicity agents get access to the dashboard, a CRM tool to track and manage your leads in one place. As a Homicity agent, you can refer your client to Agent Loop and receive immediate notifications of their online property search, ensuring that no matter where they go, they’ll stay as your lead. We place agents in an exclusive search directory where their profile can be found by users who are looking to buy, sell or rent a home in their local area. Register your business today and see how marketing with Homicity can achieve great results.